Today we’re shooting Kodak Aerochrome! It’s not every day that I get the opportunity to shoot such a special film so let’s give a proper introduction and see how it should be handled. 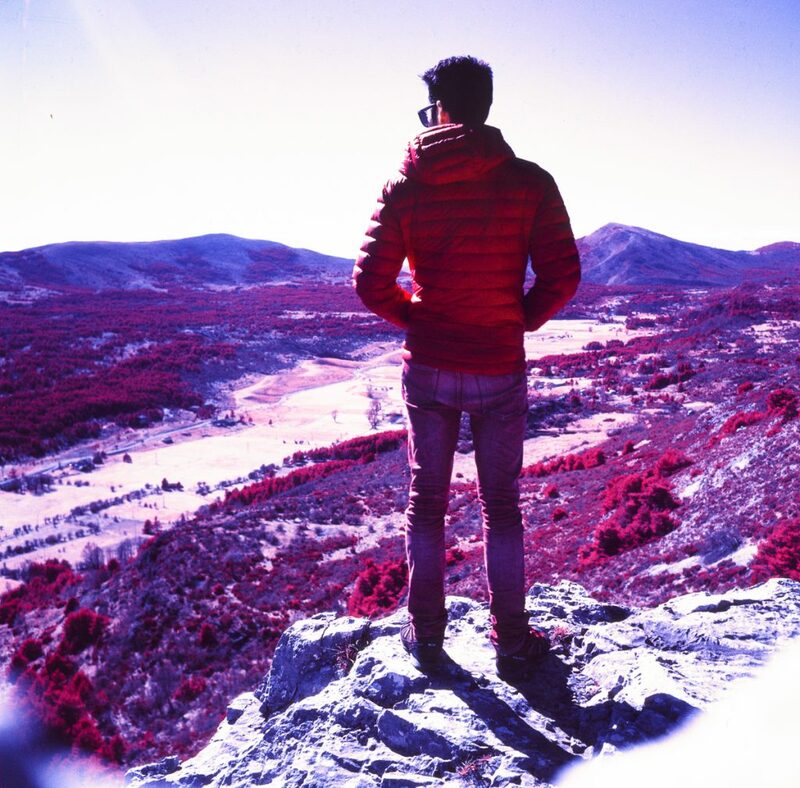 Kodak Aerochrome (a.k.a. 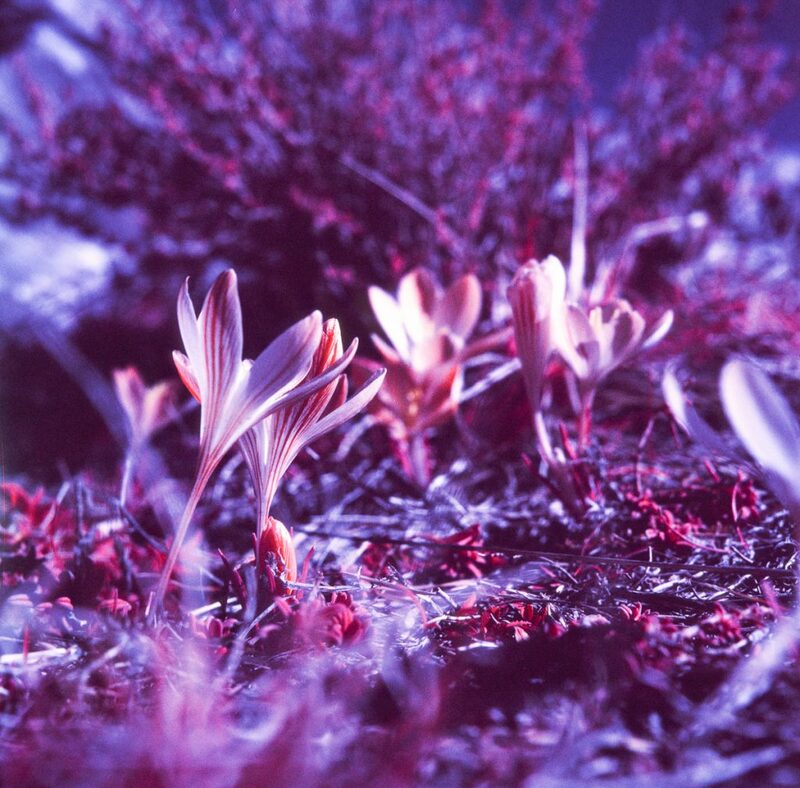 Ektachrome Professional Infrared / EIR) wasn’t made for us to have a creative film to play with. Before being an artistic film, it was mostly used by governments, military and scientific for aerial photography. 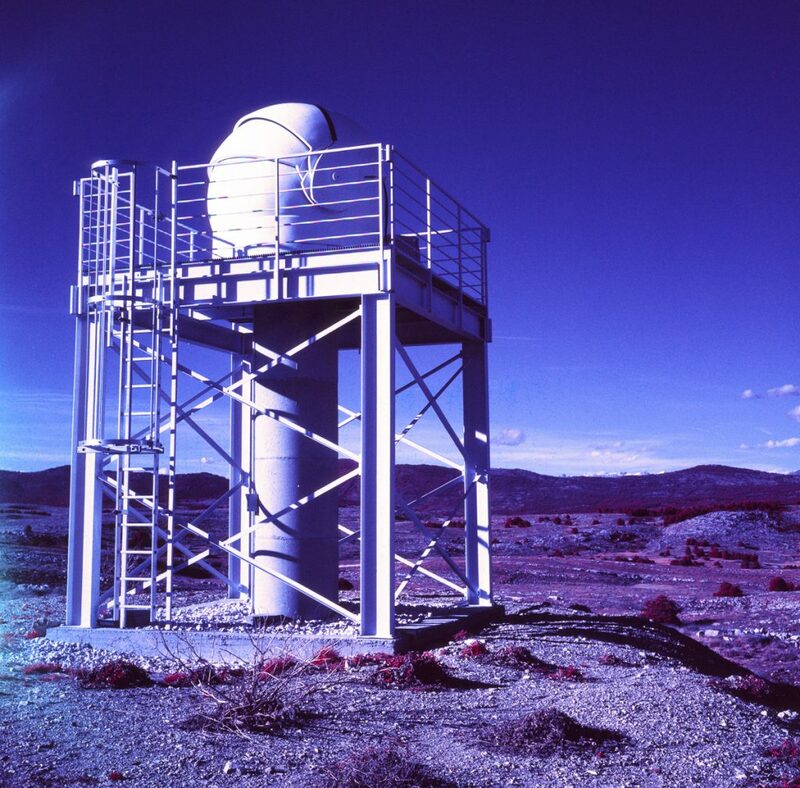 Because of its infrared properties it can detect things like camouflage, pollution, ice, foliage’s health and even archeological sites! The film is sensible to UV light which is invisible to the human eye but is reflected by many things around us. 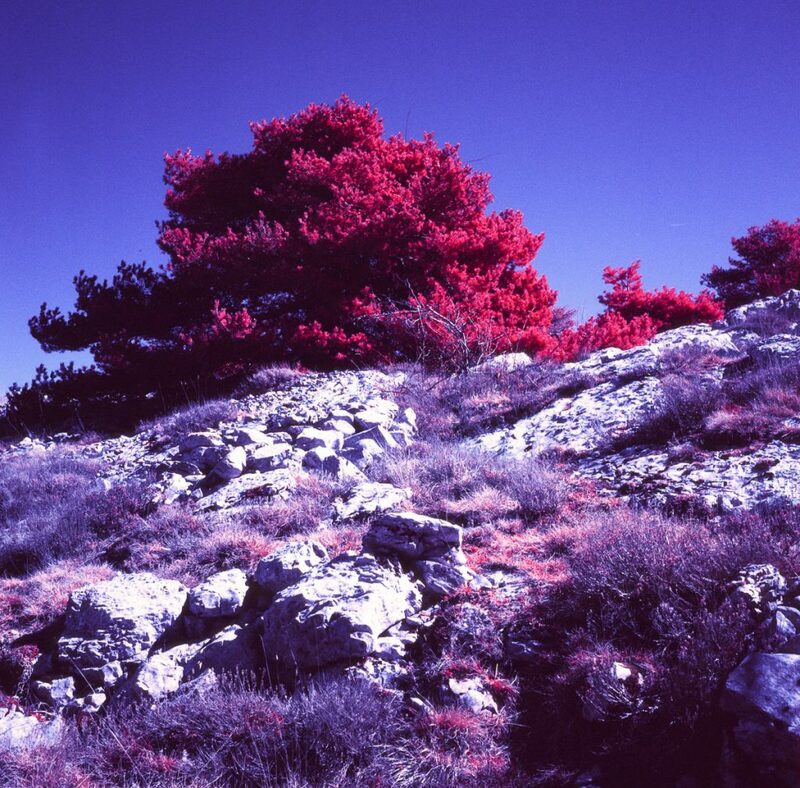 The most noticeable is probably the chlorophyll found in green foliage that turns red. If a foliage is healthy and contains a lot of chlorophyll, it will appear red while unhealthy plants will turn more toward magenta and muddy yellow/orange for dead plants. Unfortunately it didn’t survived the advent of digital IR cameras and the production has officially stopped in 2011. The last rolls of Aerochrome in circulation are now all expired by a few years and are not only getting rarer but also older. Now it’s been adopted by artists but we’re heading face down to an inevitable shortage which makes it one of the most precious film stock we have left. Shooting with IR film requires some essentials knowledge that I want to share with you today so you can get the best out of this very unique film. To get the IR effect, the first thing you need is a filter to block some of the light spectrum. This film is sensible to blue light, so to capture the IR light you need to cut the blues using using a #12 Wratten yellow filter as Kodak recommends. In my case I just took the yellow filter than I have for my Rolleiflex and it did the job just fine. You can also experiment with orange or red filter and get different IR looks but remember to compensate your exposure accordingly. I didn’t want to waste any frames but apparently shooting without filter will result in a magenta monochrome image. Black and white IR filters are completely different things and should not be used on IR color film. 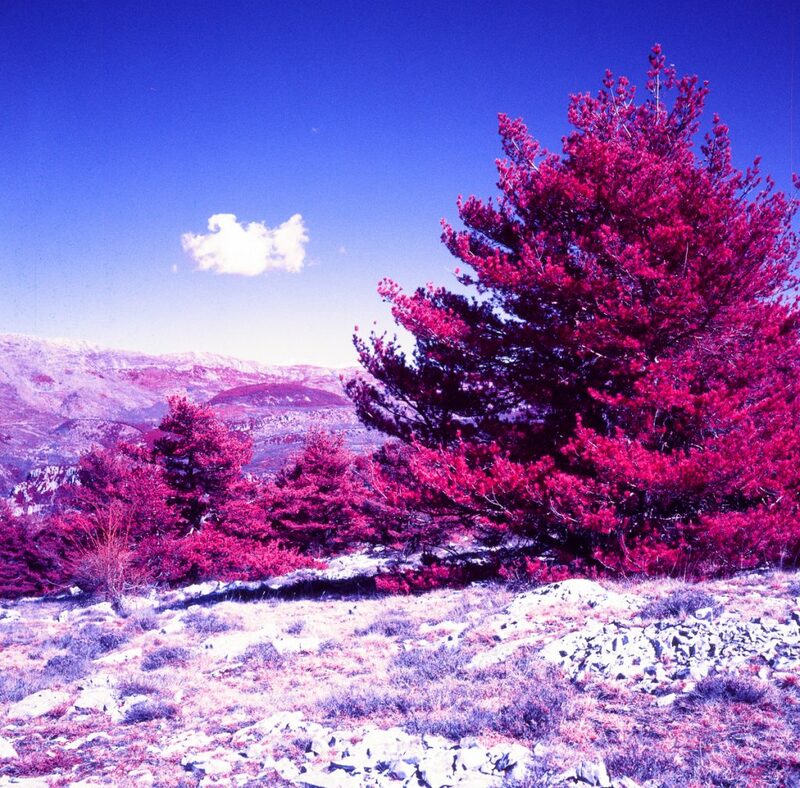 Aerochrome and all infrared films in general are meant to be shot during the day when there’s plenty of light. That’s when the infrared spectrum is visible. The more sunlight, the stronger will be the effect. Keep in mind that you’re dealing with a slide film here thus a limited exposure latitude. 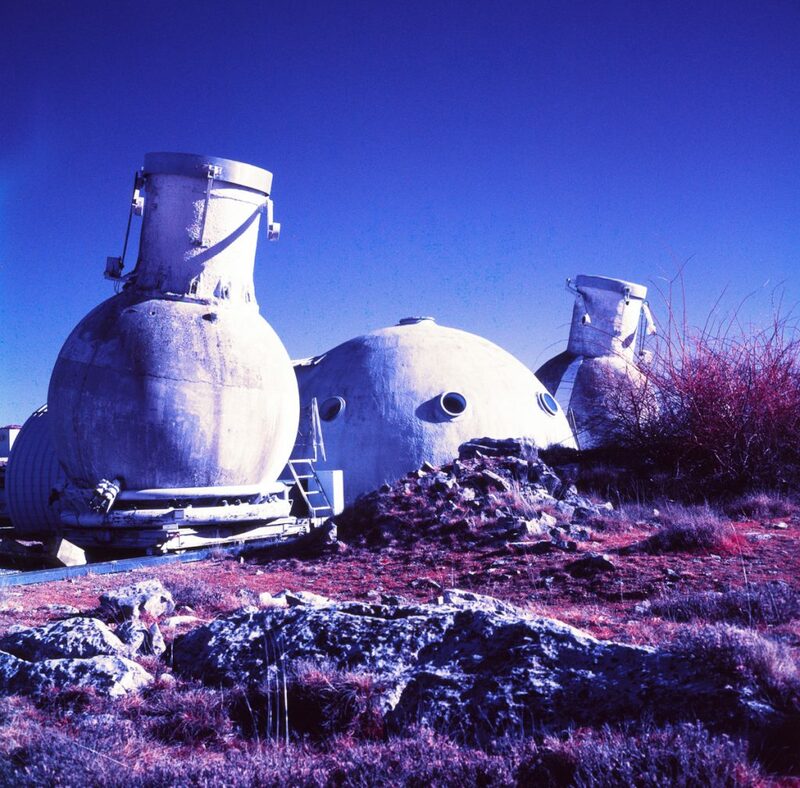 Avoid shooting infrared film at night as most light sources won’t emit any infrared light. 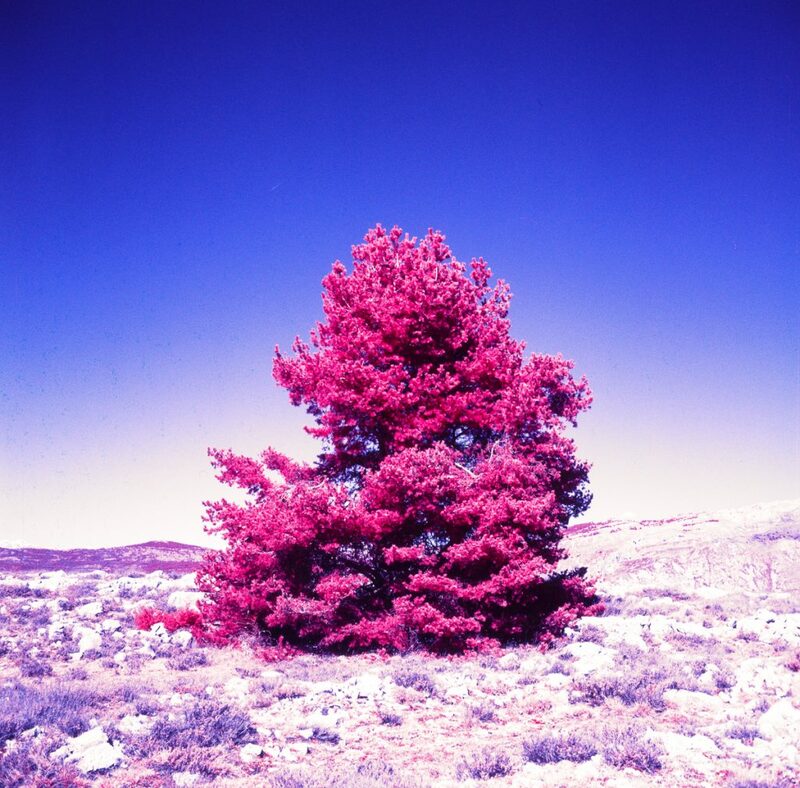 Some types of light may show infrared spectrum but I wouldn’t recommend it if you’re just starting with IR film. Not all cameras are compatible with IR film so you need to make sure that your camera doesn’t have any IR censor. These are usually found in modern cameras with auto advance system, electronic frame counter, DX code reader or remote censors. To be safe it’s best to use a fully mechanical camera that doesn’t carry electronics inside. In my case I’ve opted for a Rolleiflex 75T as it’s the only 100% mechanical medium and luckily also had a suitable yellow filter for. 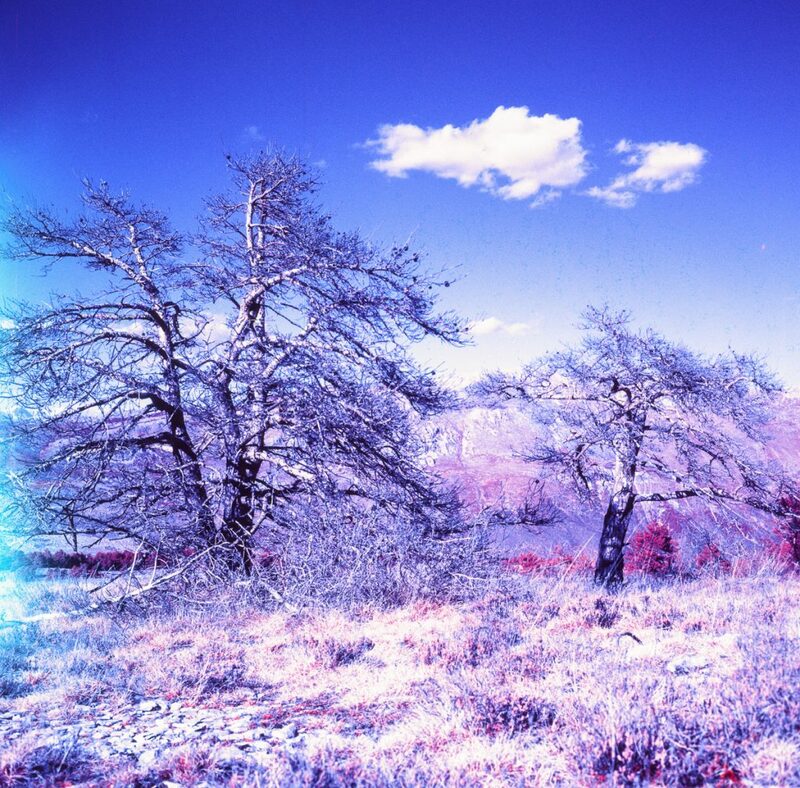 UV light can easily sneak and fog your film so try as much as possible loading the film in a dark environment. In my case there was a lot of day light around me so I’ve tried finding a place in the shade and turned my back to the sun while loading it but it seems that so UV light sneaked in on a few frames! If your camera has a film window on the back, make sure to mask it with black tape it so it doesn’t ruin all your efforts! 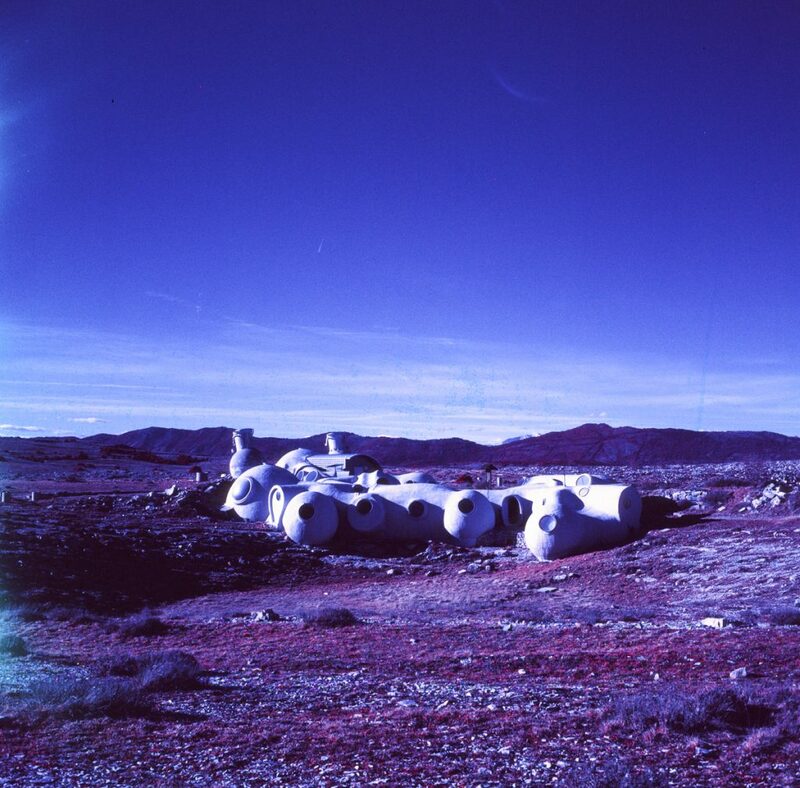 Like any other slide film, Aerochrome should be kept in a dry and cold environment. I kept mine in its original lightproof canister and that’s where you should store the roll after shooting it. This will also prevent ambiant IR light to sneak in and reach the film surface. Also, if you are not planning to get the film developed shortly after, it’s best keeping in the fridge, inside its black canister, while it waits. This brings us to how it should be processed. 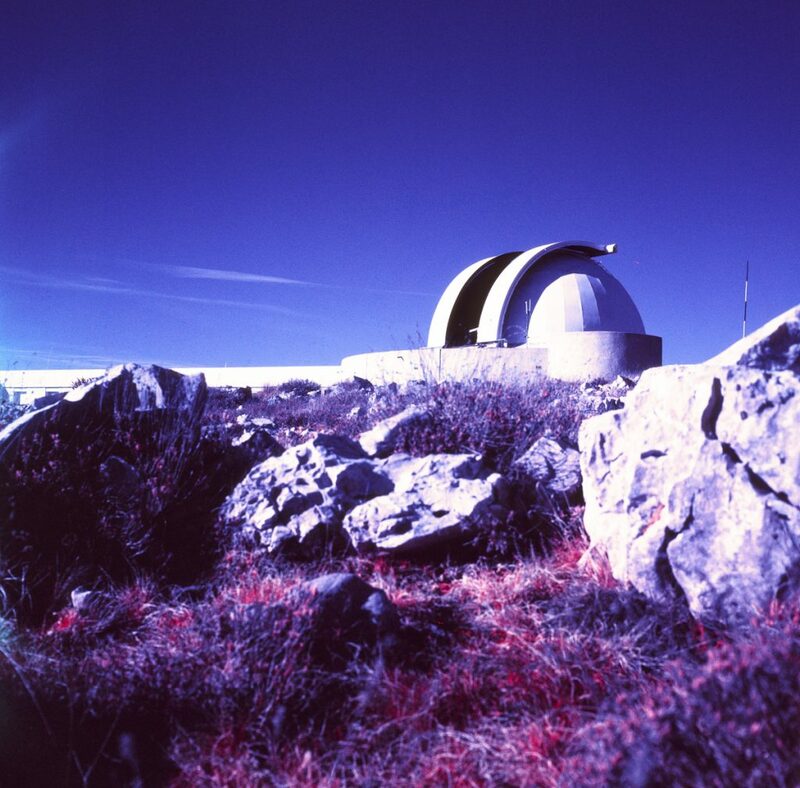 Aerochrome is a slide film that is supposed to be developed in E6 chemistry but can also be crossed processed in C41 developer. Like cameras, minilabs can also use internal IR sensors, so if you give to a lab make sure to mention that’s an IR film and should be processed by hand if they can’t switch off the IR censors on their machine. 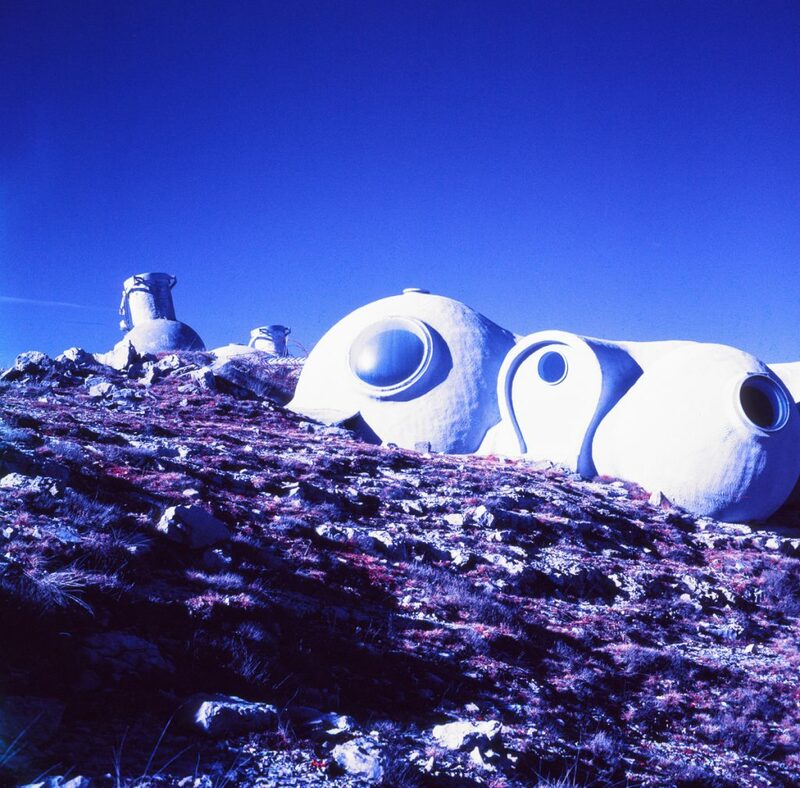 In my case I’m sending this roll to my lab Nation Photo who can handle all those special films. Like I mentioned earlier Kodak has stopped producing IR film a few years ago and today there are no other company making this type of film. That’s why IR colour film is rare and expensive. Finding Aerochrome and IR color film is getting difficult but hopefully Dean Bennici from Aerochrome.shop is keeping cool all the remaining stock from Kodak and cut it in 120 rolls and 4×5 sheets. If you’re looking for 35mm Aerochrome, your best chance will be on eBay but these are expired since quite a few years and we have no idea if they were stored correctly so it’s a bit of a lucky guess to bet one of theses. I’d like give a HUGE THANKS to Dean from giving me the opportunity to try out this unique film! Didn’t got the chance to shoot Kodakchrome but at least I’ll have shot a roll of Aerochrome once in my life, and so you should while it’s still possible! Another mention to my friends at nationphoto.com for handling the development and scanning of this roll. All HD scans can be found in this Flickr gallery. 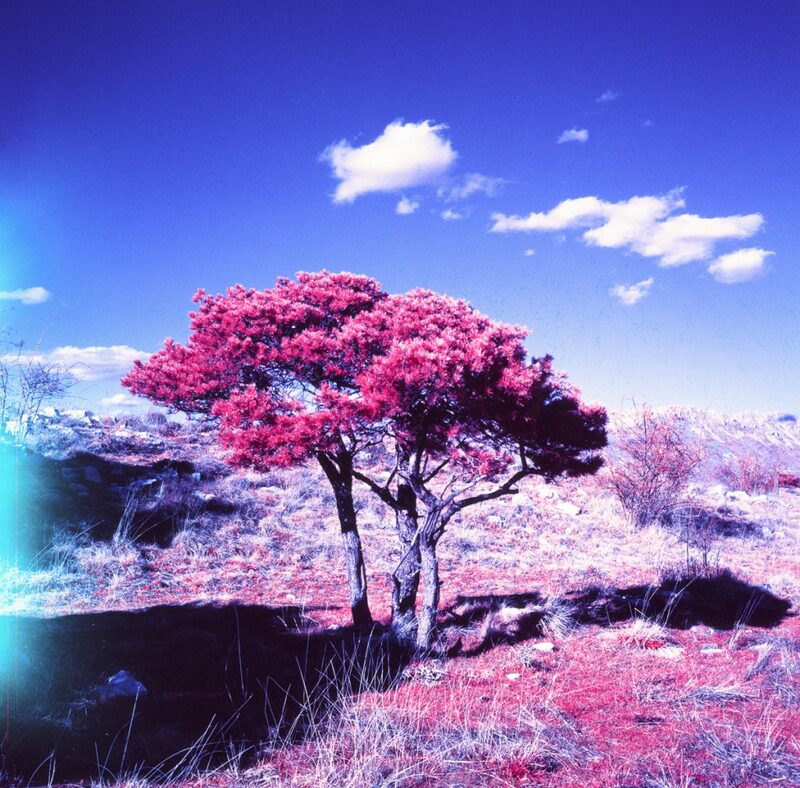 How To Shoot Kodak Aerochrome Infrared Film? – By having a truckload of money and being incredibly lucky to get one of these films. True that I was lucky to get my hands on one of these!